I’ve been to a marvellous party. I didn’t personally see anyone swing from a chandelier, but it’s been good fun all the same. 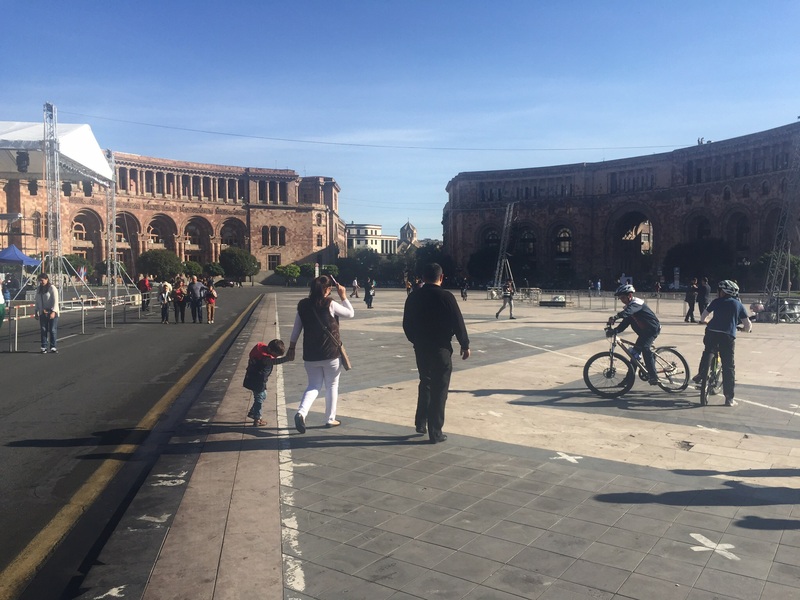 I got up in Yerevan this morning thinking it was an ordinary day, but I was wrong. 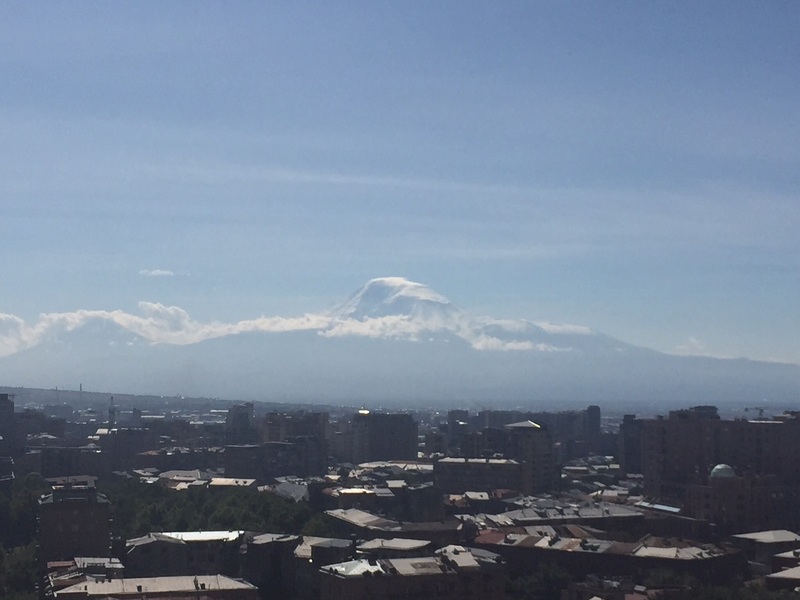 First of all, I was able for once to see the snow-capped peak of Mount Ararat, which is usually swathed in cloud. 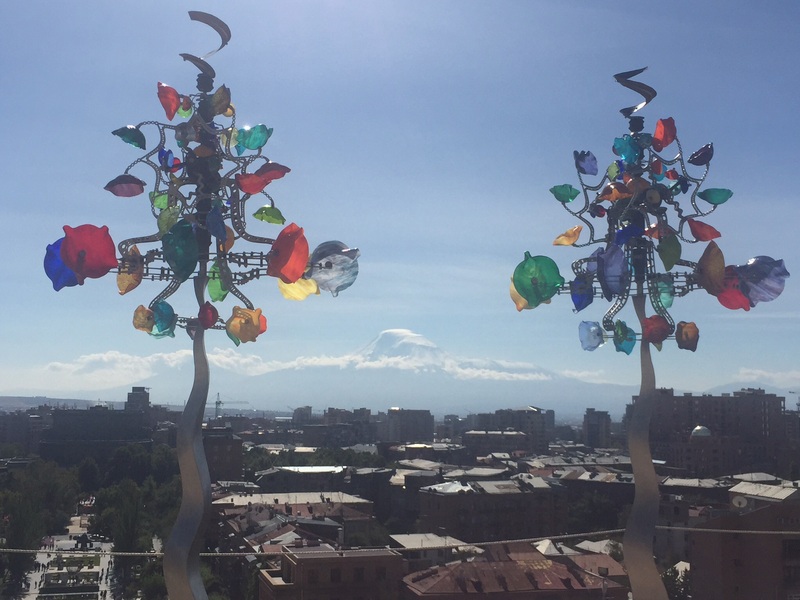 It makes a difference to the feel of Yerevan when you can see Ararat; it adds a whole dimension somehow, providing a great hunk of nature 5,137 metres high to counter-balance all the man-made stuff of a city where modern architecture is dominant. So what’s with the balloons? The obvious thing to do was to head for the Cascade to take some shots. I rode all the escalators to the top and after walking back down noticed that there were a lot of balloons to be seen. 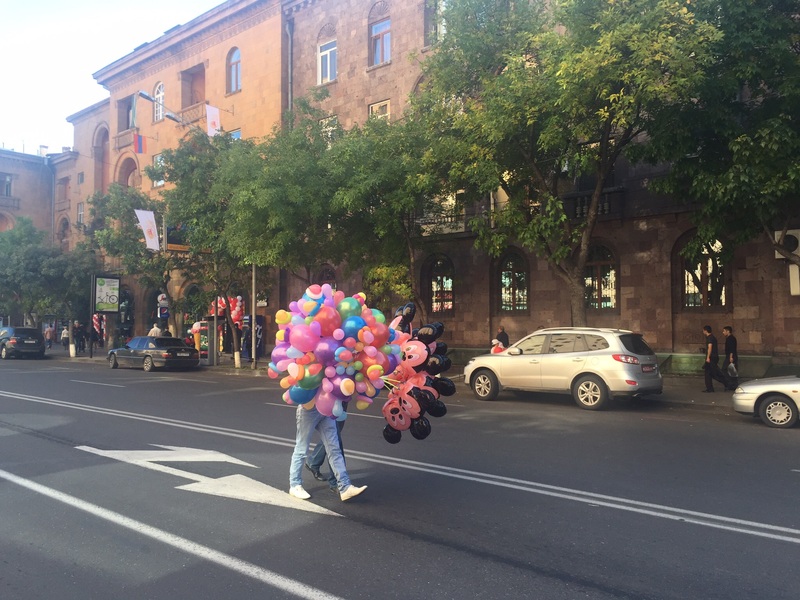 Oh well, I thought, perhaps they just like balloons in Yerevan. After lunch in a favourite eatery, I asked the waitress whether anything special was happening in the city today. 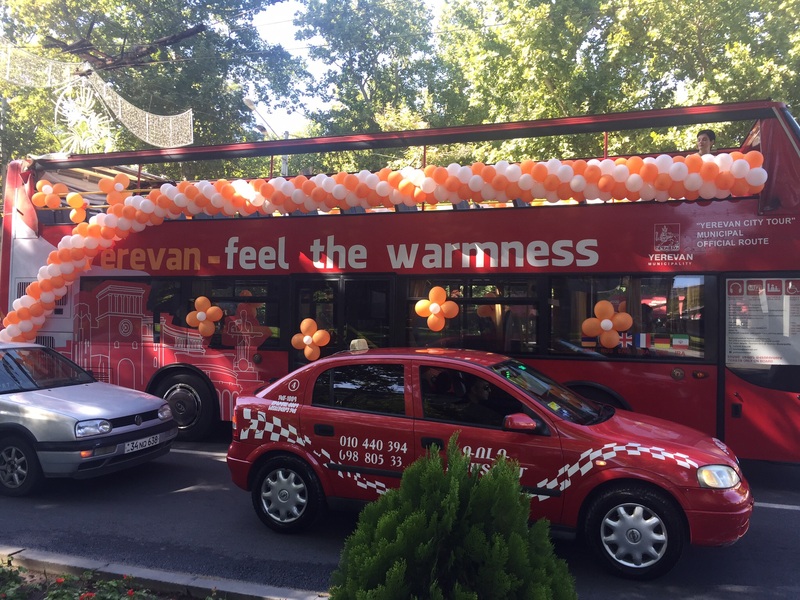 “It’s Yerevan’s birthday,” she said. Goodness. So what age is the dear old thing? A quick look at the city’s website reveals that she is 2,797 years old. We don’t make capital cities that old in Western Europe. Off to Republic Square to see what is happening there. Usually this central square is full of bumper to bumper traffic going nowhere. Today it is closed to traffic and cyclists and pedestrians can wander at will. Some places that are usually oases of peace and calm are still tranquil oases. There are no balloons at the Blue Mosque on Mashtots avenue. Still, a general mood of partying is in the air. Just outside the opera house is a rock concert and elsewhere jazz is on offer. I feel privileged to be here and how very right that the sun is shining and that Mount Ararat gives its blessing.